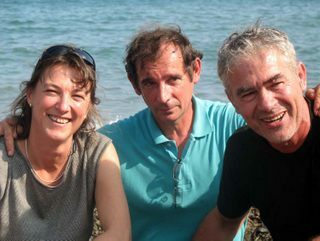 The Domain was created in 1982, resulting from the union of two established wine producing families with Vincent Cantié already at Collioure and Christine Campadieu joining him from Banyuls-sur-Mer. Their two Catalan families have been linked to wines for many générations. The chai is in the heart of their vineyard in the locality of “la Tourette” (the little tower) over-looking Collioure. This domain’s dozen hectares of vineyards is meticulously farmed by hand. The low dry schistous stone-walls and steep slopes prevent any form of mechanisation. Tour Vieille produces unique and finely balanced wines of the South, tending towards a depth of fruit that retains its freshness rather than an expression of overwhelming richness. A wine with great character, intense and perfumed, with a silky texture, from the steep schisteous slopes of Collioure that fall into the sea. Memoire d’automnes is a dry rancio, a speciality wine from Roussillon. It has slowly oxidised for 6 years in barrel before being bottles. Dry but soft and smooth, very complex. The perfect companion to raw ham, Comte and goat cheese.